The percent of Wisconsin Rapids Public School teachers who were educated at UW-Stevens Point, according to 2014 Department of Public Instruction statistics. The number of full-time undergraduate students enrolled in our teacher preparation programs. Earn your teacher certification in special education or reading with the new Accelerated Teacher Certification programs at UW-Stevens Point. 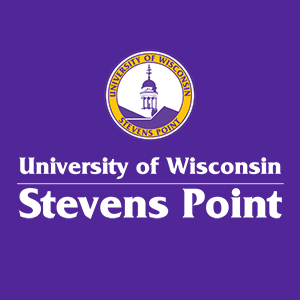 Help students overcome obstacles in learning and find innovative ways to inspire them by becoming a teacher through the School of Education at the University of Wisconsin-Stevens Point. The School of Education is the hub of teacher preparation programs at UW-Stevens Point. We prepare future teachers who are majoring in early childhood education, elementary education, physical education or special education. The School of Education also supports students seeking certification in K-12 and secondary education. As a prospective first-year student, you will find the School of Education has the right program to help you meet your professional goals. Our faculty will remind you of your favorite elementary, middle and high school teachers, the ones who saw your potential then and still do. Because we are just the right size, we can open up all kinds of opportunities for you. We'll encourage you to succeed through volunteer opportunities and innovative teaching approaches that put you in an elementary, middle or high school classroom. You’ll be an active learner closely involved in real-world situations designed to ensure your professional success. You will have diverse peers, lead student organizations, interact with children and the community, volunteer and attend professional conferences across the country. You'll find the skills and knowledge you receive through our education programs make you highly sought after as a teacher. In fact, our placement has been more than 80 percent during the last five years, and we continue to receive positive feedback from schools regarding our graduates.